3/25/19 Google (5 stars) "Five stars all they way. Love Dr. Dyer and all the staff. They are professional, kind and caring. They take the time to explain everything and make sure any questions I have get answered. I never feel rushed." 1/31/19 (FB) "Wonderful experience with our first appointment. Entire staff was welcoming and answered every single question I had. Dr. Dyer and staff lived up to their outstanding reputation. Chloe is a lucky girl. Thanks for taking great care of us." 1/23/19 Google (5 stars) "Friendly staff and great vets!" 1/20/19 (Facebook)​​​​​​​ " Thoroughly explained what was happening with my dog and the treatment given. The staff treated us as if we were the only clients there! " 1/17/19 (Google)​​​​​​​ " I have been bringing my 2 cats here for several years. I have found EVERYONE to be knowledgeable and helpful. They provide great information to help with decision making and can also help you balance between cost and quality of life. I appreciate it that their love and concern for all pets is very obvious. I wouldn't think of going anyplace else.​​​​​​​"
1/15/19 (Facebook)​​​​​​​ " This is a place where everyone loves my dogs almost as much as I do. They are caring, competent, and accommodating... the best! ​​​​​​​"
1/11/19 (Website)​​​​​​​ " ...... your employees are outstanding​​​​​​​"
1/10/19 (Google) " We have brought our dog here for over a year now. Super friendly and helpful staff at BRAC. They do great with my dog, help answer questions, and after 6-8 interactions and trips I wanted to share my feedback because I love how they are so eager to help! Thank you BRAC team! " 12/4/18 (Website)​​​​​​​ " Very pleased with the knowledgeable, friendly staff. Hours allow for flexibility that fits my schedule. I’m always happy when doctors are honest in their recommendations that tests or procedures can wait and I’m confident still they are doing what’s best for my pets while not trying to push me to spend what may not be necessary at the time. This builds my trust in them. They are all great with my pets and me. They’re very caring.​​​​​​​​​​​​​​​​​​​​​"
11/23/18 (Google) ​​​​​​​" Compassionate, friendly and knowledgeable. Dr. Dyer is tops!​​​​​​​​​​​​​​​​​​​​​​​​​​​​"
11/8/18 (Google) " We moved to Sutton with our 13 year old Westie just one year ago. She was already sick, with what we knew to be a terminal illness. The kindness and compassion shown by all of the staff at the clinic was incredible. A couple of weeks ago, we had to take her for her final visit and once again, the staff went above and beyond for her and us. I highly recommend Boston Road Animal Clinic if you want more than a factory "
10/31/18 (Facebook) "I rescued my sweet pup last year and she has gone through bouts of vomiting on and off since. The previous vet we took her to was unable to diagnose her, but Boston Road Animal Clinic was extremely patient - making sure they got all of her medical history and came up with a plan of action to help our sweet girl. It's been almost a week and the treatment has worked like a charm, with a combination of switching her eating schedule and giving her antacids to reduce stomach upset. It feels so good to finally have our girl back to her spunky self. So thankful we found such a welcoming and caring vet in the area! I would highly recommend Boston Road Animal Clinic to anyone looking for a vet that treats your family member like one of their own ❤️"
10/31/18 (Google) ​​​​​​​"Our 2 cats and our dog are all seniors and we wouldn't bring them anywhere else for their routine care. Dr. Dyer and Dr. Davis and staff are knowledgeable, kind and caring. Our 2 kitties, ages 12 and 11 were both there the other night. We saw Dr. Davis and Stephen was the tech. They treated Phoebe and Big Papi like they were their own pets!​​​​​​​"
10/2/18 (Google) "I love Boston Road Animal Clinic! They care for our 2 dogs and 1 cat and we've had nothing but great experiences. They really care about our animal's welfare - not just 'fixing the ailment' but how they're feeling and making sure our pets are comfortable. Love the follow up phone call we always get just checking in. We don't have a 'go-to' vet at this clinic and we've seen most they have - love them all! Vet tech's are great too. We've been using BRAC for about a year now and we did a LOT of research after we moved to the area for a new vet. BRAC has gone above and beyond and we couldn't be happier! " 9/26/18 (Google) " I recently moved to Sutton and I can't say enough about Boston Road Animal Clinic. They are caring, compassionate professionals and it shows in the way they not only treat their patients but also in the way they treat the owners. The follow up phone calls truly show that they love and care about the pets that they see! " 9/22/18 (Google) " Good people, know their stuff. Pleasant with a vet-nervous dog. Not upsellers. Prices very reasonable. Gracefully tolerant putting up with an irritable, probably irritating, highly suboptimal owner. What's not to like? " 9/11/18 (Facebook)​​​​​​​ " Very caring efficient staff a pleasure to work with​​​​​​​"
9/6/18​​​​​​​ "I woke up Friday morning to a dog that would put no weight on her right rear leg and was told by another Dr. to wait and see if she got better overnight, and I woke Saturday to a dog that could put no weight at all on either of her back legs. I didn’t really know what to do but I knew she was in pain. I called your clinic at 8:30 a.m. on the holiday weekend and they said they could see her at 9:00 a.m. I cannot tell you how relieved I was and how impressed with your staff I was when I arrived. They had a blanket all laid out for her to lay on, they took us right in and gave her one of the best exams she has received. Jane was diagnosed with Lyme and was given medication that began to work after just the first dose. My wife and I were so relieved. But your staff was absolutely outstanding I thought you should know and I will be singing the praises for your clinic to everyone I know.​​​​​​​"
8/27/18 (Google) ​​​​​​​​​​​​​​"They are very kind and gentle with my dog. Everyone who works there is very friendly and you can tell they love animals. Also, they have reasonable prices (for a vet) and they are very easy to schedule appointments with. Two paws up!  "
8/10/18 (Facebook)​​​​​​​ "This is the only veterinary facility in the world. The only place I take any of my loved animals. They are the kindest, most understanding and gentle people to work with. We love everyone there and so do my kitties and dogs "
8/10/18 (Facebook)​​​​​​​ "We took our cat here and got the best care. She had not been to a vet in 13 years. She is an indoor cat and afraid of everyone and everything. We got a room as soon as we walked in, and the Tech and Doctor were the best. Patient and loving. We will be going here from now on. Thanks for your support and understanding. " 7/8/18 (Facebook) "The staff are wonderful and Dr. Dyer is very kind!! " 7/5/18 (Yelp)​​​​​​​ "I was not (yet) a patient but Dr. Dyer saw my cat recently for an emergency visit when my usual vet office had no vet on staff that day (how is that even possible?). He had swallowed something and was just not right. She was wonderful and helped him quickly. Everyone was very kind and caring knowing I was upset and that my cat was in pain. He is as good as new now. They called to follow up multiple times which I really appreciated too. I would highly recommend coming here.​​​​​​​"
6/26/18 (Google)​​​​​​​ "The staff were incredibly nice and thorough with my service dog. More importantly, they were military friendly. 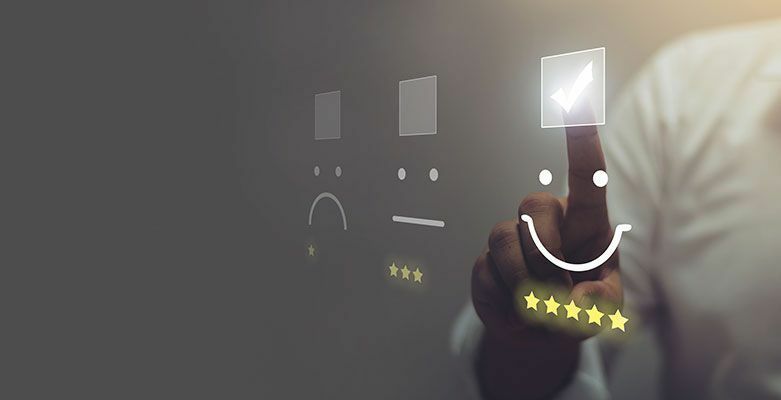 They exceeded my expectations and I look forward to continuing to utilize their services.​​​​​​​"
6/18/18 (Google)​​​​​​​ "5 Star Review!​​​​​​​"
6/15/18 (Google)​​​​​​​ "5 Star Review!​​​​​​​"
6/4/18 (Google)​​​​​​​ "The staff were great, the appointment on time, and Dr. Davis was outstanding, so personable and caring. Great visit!​​​​​​​"
4/25/18 (Google)​​​​​​​ "5 Star Review!​​​​​​​"
4/4/18 (Google)​​​​​​​ "Always great service and very accommodating. Would highly recommend! " 4/4/18 (Website) "Dr Dyer is wonderful with my cat Jack who is none too nice." 3/31/18 (Google)​​​​​​​ "Excellent, compassionate vet care​​​​​​​"
3/21/18 (Email) " I was more than pleased with my visit this past Monday night. Thank you for the time to answer my questions and make me feel at home . I appreciated the professionalism of you and your staff . I feel confident that Sadie will receive the best of care ." 3/8/18 (Google)​​​​​​​ "Helped my dog even though I wasn't a client. I am now though for sure.​​​​​​​"
3/7/18 (Google)​​​​​​​ "Staff is caring, compassionate and attentive. Have brought all my dogs here for ages.​​​​​​​"
1/23/18 (Website) "Dr Dyer has taken care of my Abies Irish Rose and Annie Oakley since they were 8 weeks old. She accompanied us to the breeder to take a look at them before the girls become part of the family.. She has followed them ever since. She is the most caring person I know. If you choose Dr Dyer and her accomplished staff you would have made one of the best decisions in your life and especially in your four footed friends life. TEN ********** Stars for Boston Road." 1/22/18 (Website) "Treatment for Val was wonderful, Staff is very caring and compassionate about what they do. Options are all addressed and there is no forcing of what you should do. Thank you so much!​​​​​​​"
1/19/18 (Website) " I have been taking my dog Chloe to Boston Road Animal Clinic for quite a few years and I have never left there feeling disappointed. They have always been very thorough and helpful in the treatment of my fur baby. Dr Dyer is the best as is all of the staff." 12/30/17 (Website)​​​​​​​ "When I called concerned my cat had a UTI they got me in the same day for an appt. The doctor didn’t think that was the case, so she took the time to explain all the possibilities and explain what I should do if she did have one just in case. All my questions were answered! The friendliest staff from the second you walk in the door, every second was amazing! I’ve brought all my animals here in the past and I will continue to do so! Thanks so much! !​​​​​​​"
12/23/17 (Website)​​​​​​​ "All staff is great.​​​​​​​"
12/11/17 (Website)​​​​​​​ "Wonderful, caring and accommodating. I have found my new vet clinic!!! " 12/5/17 (Website) " Have been using Boston Road for 7 years. They have always been friendly, professional, caring and will make room in their schedule for a sick animal. Wouldn’t consider going anywhere else. Thank you Dr Dyer for putting together a great team! " 11/29/17 (Google)​​​​​​​ "This place will take amazing care of your pet. Would highly recommend​​​​​​​"
11/22/17 (Website) "Very efficient and friendly staff! " 11/16/17 (Website)​​​​​​​ "You are the best! You take such good care of your parents, and the staff is always friendly and helpful. Thank you for all you do!​​​​​​​"
11/11/17 (Website)​​​​​​​ "The entire staff is wonderful!​​​​​​​​​​​​​​"
10/25/17 (Website) "Very considerate to my needs and my dogs needs. Also appreciated listening to my concerns and giving feedback to my questions. Very helpful and seemed to care. Also, everyone tried to be friendly. Thank You! " 10/22/17 (Facebook)​​​​​​​ "Dr. Dyer and her staff are great!!! I highly recommend!!! ​​​​​​​"
10/20/17 (Website)​​​​​​​ "Boston Road Animal Clinic is the best. Competence and Caring, a winning combination for expert pet health.​​​​​​​"
10/16/17 (Website) "I love the atmosphere at your clinic. Everyone is so nice and caring of the animals AND the humans. Thanks for always being there in such a competent way for my pet medical needs." 10/15/17 (Facebook & Website) "Boston Road Animal Clinic staff are some of the most loyal, dedicated and caring people I have come across when it comes to animal care. They have always treated my dogs as if they are their own and gone the extra step to make them comfortable, safe and happy. They are always thorough and honest about what our options are and what they would do if it were their pet. Our 14 year old Min Pin is a frequent visitor (being diabetic, blind and having had numerous other complications). Over the years he has had to spend the day there quite often for testing (on a weekly basis at some points). They have always told me they make sure he is in the back crate with plenty of blankets, because they know he loves to sleep and isn’t fond of the commotion in his old age. There has been more than once where he has even been up at reception hanging out when we come to get him. We’ve been told staff will even take him out with them on lunch break to give him a break from the other dogs. They truly do know him as if he is their own and do anything to keep him happy while visiting. We have recently added a puppy to our family and they treat her no different. Between the offers for bringing them in for “happy visits” to consoling us when we are upset because our little old man is sick again, they have never let us down. I wouldn’t take my dogs anywhere else. " 10/11/17 (Website) "Appointments for Tic Taak are very easy because he does not mind going there. The receptionist, tech, and Dr. are all so nice to him, that he loves going there which makes it easy on me." 10/11/17 (Website) ​​​​​​​​​​​​​​"The best veterinary services I have ever received. Thank you!​​​​​​​"
10/6/17 (Website)​​​​​​​ "Dr. Dyer and her team are the finest professionals it has been my pleasure to work with. Their compassion for our pets is extended to we the owners.​​​​​​​"
10/2/17 (Website) "Staff is very friendly, and patient. I never have to wait to get an appointment, and they always take us right away when we arrive, no waiting, ever. Exams are thorough. I can't come up with a single negative thing about them. " 9/28/17 (Website)​​​​​​​ "I was a new client due to my own vet being on vacation and my cat had an injury. I couldn't be more happy with the service I received!​​​​​​​"
9/28/17 (Website)​​​​​​​ " I was very pleased with our new kitten's first checkup. We will be sure to recommend your clinic in the future.​​​​​​​"
9/26/17 (Website)​​​​​​​ "Everyone is great at BRAC! Thank you!​​​​​​​"
9/25/17 (Website)​​​​​​​ "Thank you for all the wonderful work you do for our animals :) your caring and expertise is extremely reassuring as we love our pets so much and would hate to have them in the wrong hands!​​​​​​​"
9/15/17 (Website)​​​​​​​ "You guys are awesome!​​​​​​​"
9/13/17 (Facebook)​​​​​​​ "The best. Take very good care of Hooper, very caring"
8/28/17 (Google)​​​​​​​ "Nice staff. Open late, brought my cats in for a 6:30 pm appointment which is super convenient.​​​​​​​"
8/26/17 (Facebook ) "Definitely the best vet around!! KIND, CARING , AND A WONDERFUL STAFF "
7/22/17 (Facebook) "Dr Dyer and her team are the BEST around!" 7/20/17 (Website)​​​​​​​ "Boston Road Animal Clinic provides excellent and compassionate care to all their clients.​​​​​​​"
7/19/17 (Website) ​​​​​​​​​​​​​​"I have said many times how great Dr. Dyer and her team are. They are knowledgeable, kind, patient, and amazing with my 4 fur babies. They have my families pets too and friends. I will always refer them to Boston Road Animal Clinic Sutton Ma.​​​​​​​"
7/19/19 (Website) "Dr. Dyer and everyone who works at Boston Road Animal Clinic always treat us, and our cats, extremely well. They are caring and professional, and even accommodated a change to our appointment time when one furry friend gave us a hard time about making the trip for his appointment. We would recommend this practice to anyone!" 7/14/17 (Website) ​​​​​​​"Thanx so much... for all your caring...​​​​​​​"
7/13/17 (Website)​​​​​​​ "The staff at Boston Road Animal Clinic are always so friendly and professional. They take their time to explain their treatment plan and we never feel rushed or pressured. 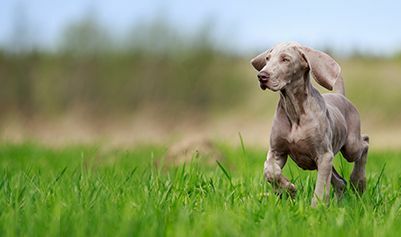 We are so fortunate to have such an amazing vet clinic in our little town!​​​​​​​"
" I only have visited one time, so I don't have a solid opinion yet, but the staff was friendly, the location very convenient, and the care thorough. I look forward to my next visit "
"Our first visit with Boston Rd Clinic was awesome to say the least. They were so informative and very caring with our nervous kitty. I can't say enough about our experience. From the secretary, vet technician and then doctor...just wonderful. I thank them for the wonderful care they gave our kitty and educating us on proper nutrition. Very grateful to have them in our beautiful town "
"Always a caring and friendly doctor for our pet; she rather loves coming, never a grudge. Me too. ​​​​​​​"
"The staff at Boston Road Animal Clinic is incredible. I am always calling and they never seem to get annoyed with me and always take care of my pets as if they were their own. I drive over an hour to go here and will continue to do so! Absolutely love them!​​​​​​​"
"Everyone at BRAC is as compassionate as they are professional! Would trust them with any of my family members (although my sisters might prefer an MD...:-))​​​​​​​"
"The staff is very caring and compassionate!! !​​​​​​​"
"The staff are friendly and work great with my cats!​​​​​​​"
"Benny had another great visit to the Clinic. We appreciate the thoroughness of the exam and the care of the entire staff.​​​​​​​"
"Very courteous, yet professional. Immaculate facility.​​​​​​​"
"Always very friendly and very helpful.​​​​​​​"
"This is the best veterinary clinic I've found. They treat my dog with such care and are very informative. I'll never bring Tallulah anywhere else." "They were extremely friendly and helpful. I'm glad to be using such a magnificent vet.​​​​​​​"
" I am very happy with the staff at Boston Rd Animal Clinic. The most important point for me is that the staff are very caring and treat my cats as their own.​​​​​​​​​​​​​​"
" All employees are very friendly. Dr. Macho is quick and efficient.​​​​​​​​​​​​​​​​​​​​​"
"Great first experience! Vet tech Steven was awesome at explaining everything to me and was very patient and knowledgeable. Dr. Macho was fabulous and very knowledgeable as well. She took her time and thoroughly examined my new rescue puppy. Will definitely keep going back! Thank you! !​​​​​​​"
"Only place Brutus has ever stayed calm and happy. They keep his poor breathing in control during visits and I don't have to worry about him.​​​​​​​"
"Dr. Dyer was awesome as usual. We don't see her often because Peyton & Harlow are healthy so it's usually just for an annual visit.​​​​​​​"
"We love Dr. Dyer! She has a wonderful 'bedside' manner, always takes the time to answer our questions, and explains things easily. Thank you!​​​​​​​"
" I love bringing my cats to the Boston Road Animal Clinic! 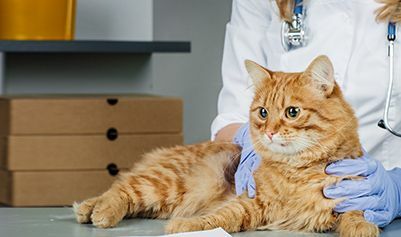 My cats receive excellent, professional care in a welcoming and very caring environment.​​​​​​​"
" The staff and doctors are always a pleasure to deal with. I have not once had a bad experience, and care they provide my 2 labs is awesome "
" Thanks to all your staff for always being so kind and accommodating. We could not be more pleased!​​​​​​​"
"Love Boston Road Animal clinic. Staff is amazing our dogs love going there even for shots :) everyone is caring and professional." "I was very pleased with the staff and the level of care shown to my dogs​​​​​​​"
"They really care about you and your pet. They spent time with me and answered all my questions. The care was excellent.​​​​​​​"
"Still Bohdi's favourite vet. My favourite and I have 50 years of having worked with veterinarians in both Canada and the US. " "Thank you for the samples of supplements for the boys to try for their arthritic pain and the helpful list of veggies we can give them to supplement their diet to help shed the pounds. Everyone on the staff was welcoming and I felt as though both Amos & Otis had been given a thorough health check! Thank you!​​​​​​​"
"Chester and I would like you all to know how much we appreciate the wonderful care we receive at Boston Road. Dr. Dyer and her entire staff are always so pleasant, caring and professional! Thanks for all you do each and every day! !​​​​​​​"
" Our first appointment with our 11-year-old chocolate lab was a positive experience from the moment we were greeted at the front desk. Our dog who is quite cautious when meeting new people was relaxed throughout the visit. I'm looking forward to introducing our 8-year-old yellow lab to the staff during our his initial appointment next week​​​​​​​"
" Friendly and always get me in quick. You're all A+ in my book.​​​​​​​"
" I have told a lot of people (about the clinic), I just hope they always fit me in lol ... Dr. Dyer is the best ... and her staff. " "They are the best ever........​​​​​​​"
" I highly recommend them! They are awesome.​​​​​​​"
2/19/17 (Website) " Over the years I have used your Vet practice. and only have had great experiences with staff , doctor's etc. I always recommend your practice to others. Keep up the great work that you do! " 2/10/17 (Website) ​​​​​​​"Morgan is happy to come visit you all, she loves Steve!! Lol "
​2/9/17 (Website) "This was our first visit and the staff was excellent to my cat and I felt very comfortable having them treat my cat​​​​​​​"
2/8/17 (Website) "Every one is good and professional "
2/6/17 (Website) "I love Doctor Macho! She is always so attentive and always takes her time to understand my questions and concerns for my cat. I never feel rushed or pressured. My family has been going to this office since I was 3 years old, and I will always bring my animals here as it is service I can rely on "
2/5/17 (Facebook)​​​​​​​ "I have found the staff at BRAC to be fantastic. I brought my old pets there and will continue to bring my new pets there. Always the best and friendly service.​​​​​​​"
2/5/17 (Website)​​​​​​​ "Thank you all for caring. All of you!​​​​​​​"
2/1/17 (Website)​​​​​​​ "Always feel welcome walking thru the door with my pets​​​​​​​"
1/30/17 (Website) "I wouldn't take my babies anywhere else!!! I love the staff Dr. Dyer, Dr. Macho and Kerri!!! " 1/20/17 (Website)​​​​​​​ "Good people, caring and careful with my cat. I will be back with my pets to Boston Road Animal Clinic"
1/13/17 (Website) " Boston Animal Clinic has my highest recommendation. The special thanks to Dr Dyer, and Steven for the most compassionate caring. All the vets techs and office staff. Wonderful Experience during a most difficult for me. Thank you all so very much "
Keep in mind others come to our site to research review content before they make a decision to visit us. Helpful reviews should be factually correct, detailed and give a good understanding of what your experience was like from start to finish.